Bellefontaine Cemetery and Arboretum was founded in 1849 as a rural cemetery. 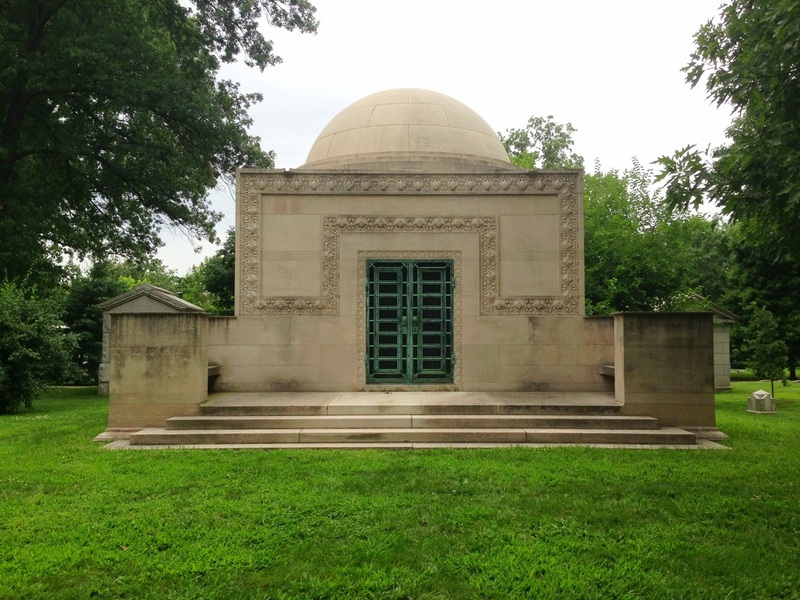 The gorgeous grounds at Bellefontaine house a number of architecturally significant monuments and mausoleums such as the Louis Sullivan-designed Wainwright Tomb, which is listed on the National Register of Historic Places. Bellefontaine played an important role in the early growth of St. Louis and is the final resting place of many historical figures and many notable St. Louisians. Discover the magnificent trees and lovely gardens that grow in Bellefontaine's 314-acre arboretum and over 87,000 graves as we explore the lives, hear the famous and infamous stories to go with them, including those of Explorer William Clark of Lewis & Clark, Anheuser Busch founder Adolphus Busch, US Senator Thomas Hart Benton, and Author William S. Burroughs, rifle maker Samuel Hawken, and aviation pioneer James S. McDonnell. Many Union and Confederate soldiers from the American Civil War are buried at Bellefontaine, as well as numerous local and state politicians. Located near the confluence of the Mississippi and Missouri Rivers, Bellefontaine is a tranquil haven for local wildlife and the Cemetery, in total, has been designated a National Historic Place.